Two experts weigh in on how to bridge the divide. 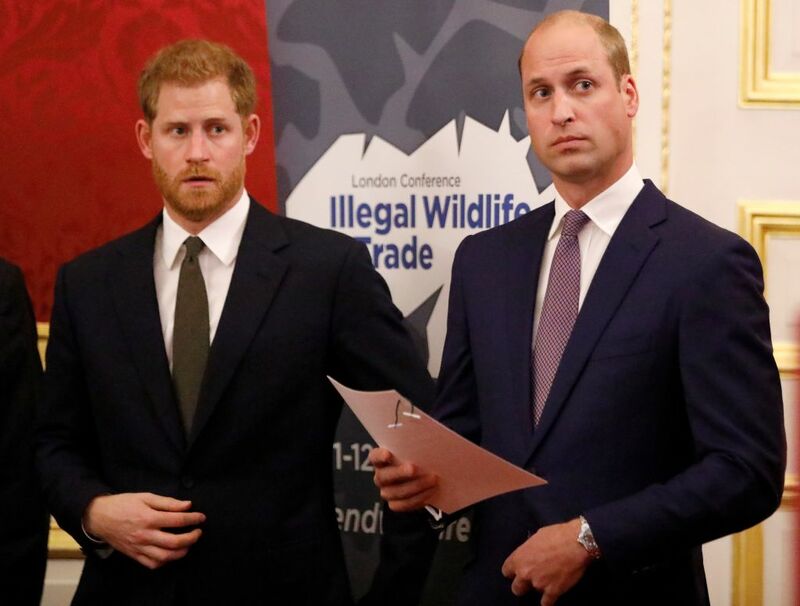 This weekend, rumors of a growing rift between Prince William and Prince Harry, who were long thought to have a close bond, hit a fever pitch. U.K. newspaper The Sun reports that royal attitudes toward Harry’s wife, Meghan Markle, helped to catalyze the chasm. A source tells the paper that Harry continues to chafe over William urging him to take it slow before tying the knot: “William told his brother they knew nothing about her background, her intentions, what she was really like,” which was meant, the source says, for his brother to move forward with caution. If true, it’s a sad state of sibling affairs that’s wholly relatable — and an opportunity for us to reflect on our relationships with our own siblings, especially if we aren’t as close to them as we’d like to be, or are still nursing an old wound. A strained relationship with a sibling can be especially stressful around the holidays, since we often find ourselves spending time with them, even if we’ve had a disagreement, or grown apart. Thrive Global spoke with two experts — Jeanne Safer, Ph.D., a psychotherapist who’s studied sibling rivalry and the author of Cain’s Legacy: Liberating Siblings from a Lifetime of Rage, Shame and Regret and The Normal One: Life With A Difficult or Damaged Sibling, and Karl Pillemer, Ph.D., a professor of Human Development at Cornell University and author of 30 Lessons for Living — for advice on how you can bridge the gap between you and your sibling. Avoid the toxicity of “angry rumination,” Pillemer says. “It’s very easy to obsess endlessly about how a sibling has treated you badly, but try to let repetitive negative thoughts go.” Instead, replace them with positive memories from your shared childhood, which will help you gain perspective. Safer suggests taking an honest inventory of what transpired between the two of you. “Before you talk to your sibling, talk to yourself,” she says. “That means that you should be prepared to ask the person what bothers them and reconsider the issue anew from their point of view.” Be open and ready to assess the situation from their angle, which will create the right mindset for healing the hurt. “You’ll be on the offensive, rather than the defensive, by simply trying to neutrally gather information,” she says. Safer advises not waiting for your sibling to reach out to make amends, because the longer you wait, the greater the gulf grows between you. “If you want to make a reconciliation, take the initiative yourself,” she says. The sooner you get on the path toward healing, the better (and less stressful). Nothing disarms like admitting your own culpability. It shows the other person you’re ready and willing to take responsibility for your missteps and move forward, Safer says. It’s not likely that one conversation will be a balm for big hurts or years of not communicating. “Don’t expect that you’re going to kiss and make up after one talk. Things don’t get fixed that quickly,” Safer points out. Several sets of exchanges are often necessary before you can reach an amicable peace that’s mutually fulfilling and rectifying.